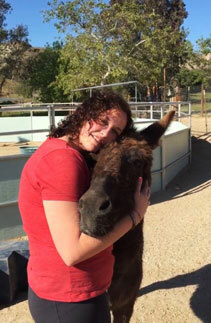 What is Equine Assisted Psychotherapy (EAP) and Equine Assisted Personal/Emotional Growth (EAPEG)? The work takes place in the arena on the ground (no riding). Sessions are structured according to the needs of the client and the clinicians’ knowledge of the patient, clinical style and clinical judgement. EAP is a part of the Eco-psychotherapy community that believes that “nature” and natural settings are great facilitators for well-being. Spending time outside in nature is becoming a more rare experience for children and adults. Our experience at Denim ‘n Dirt, along with some research, confirms to us that our “green” equine assisted approach to psychotherapy or personal emotional growth facilitates self-awareness and at the same time helps people work through difficult emotional issues. While we do not subscribe to a behavioral problem solution orientation, we see lifts in depression and the acquisition of life giving skills in our EAP/EAPEG work. EAP is a combination of several well known and validated psychological theories and approaches to healing: Eco-psychotherapy, Talk Therapy, Experiential Psychotherapy and Animal Assisted Therapy. Much of the work is based on client associations, projections and metaphor. In some ways, we interpret these sessions similarly as we interpret our dreams-the equines serve as symbolic representations embedded in our psyches. In addition to these foundational clinical theories, each Mental Health Clinician brings his/her own theory of human development, healing and clinical style. The efficacy of play has been a recent focus for mental health researchers. The verdict is that play is essential for both children and adult development! EAP is like a large sand box with human and equine figures! Clients find EAP to be fun and meaningful. Play and fun is a great start to emotional growth and healing. Mindfulness is a central core of our workshops as we believe that mindful living is an important frame of reference for all psychotherapy endeavors. 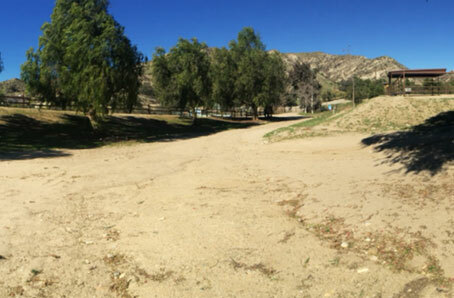 Denim ‘n Dirt’s natural outdoor setting includes a quiet peaceful space which is greatly enhanced with equines. 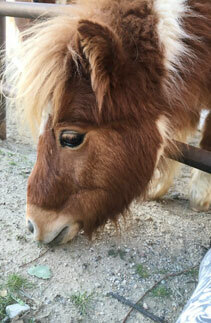 Equines epitomize “mindfulness” and “authenticity” as they know NO other way! Mindfulness and living an “authentic” life is always a main therapeutic goal. 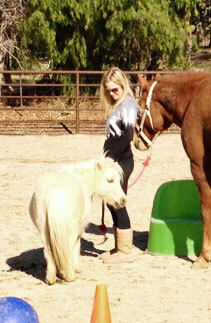 Equine Assisted Personal Growth (EAPEG) is also an experience working with horses on the ground (no riding). Rather than participating for specific mental health issues, Personal Emotional Growth is an experience more oriented toward self development, mindfulness, spirituality, learning, team building, and leadership skills. Become more mindful and ultimately experience greater emotional health. The Denim ‘n Dirt model includes PORCH TIME which is essentially the talk therapy part of the session. Talk therapy can also be part of the session process throughout the equine part of the session as well. As we interact on the porch with the clients, we also visually check to see what the horses are doing. Sometimes, depending on client needs, porch time can encompass the entire therapy hour. Other times, we are in the arena participating in ways that meet the client’s clinical needs and goals. We do not consider our DnD model to be solution oriented. We recognize that psychotherapy is a complex endeavor focusing on complex problems. 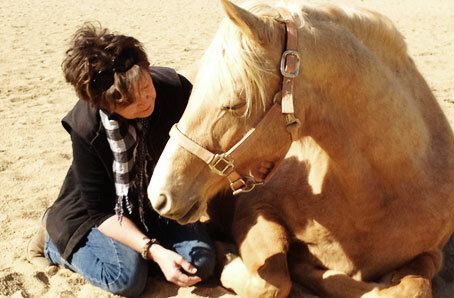 The relationship with the human therapists and equine therapists will have a great influence on the outcome of the therapy or personal emotional growth endeavors. EAP is an excellent therapy modality or personal emotional growth opportunity for all people of all ages. 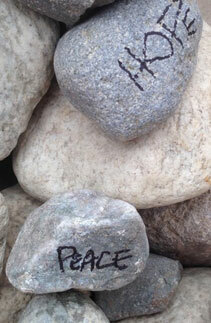 Denim ‘n Dirt Ranch is now offering Continuing Education Credits for Mental Health Clinicians. Dr. B. Jane Wick is an approved California Psychological Association Provider. Her provider#: wic001. California Psychological Association (CPA) CEs are accepted by most other MENTAL HEALTH governing boards in CA. If you are not sure whether your board accepts CPA credits, please check your licencing board for approved CE providers . For more informations on CEs or Personal Emotional Growth workshops, please check our Events page. Custom groups for professionals, non professionals and businesses are also available if requested. For inquiries, contact Dr. Wick. 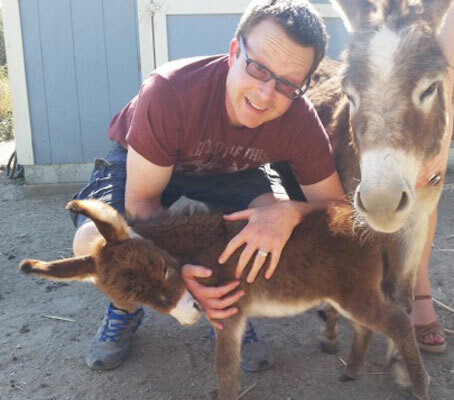 Our mental health team consists of horses, donkeys, a licensed mental health practitioner and an experienced equine practitioner. 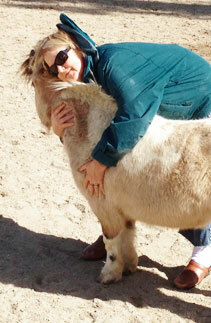 Equines epitomize “mindfulness” and “authenticity” as they know NO other way! 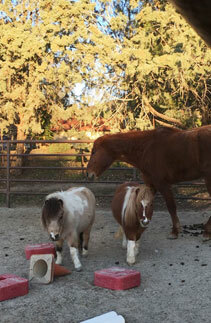 We respect our equines as our co-therapists and are grateful to have them as part of our therapy endeavors.